I've been growing my little collection of jewellery over the years and I like to add to it now and again when I see something truly beautiful. You might also remember my love of personalised jewellery so when Statement Made Jewellery got in touch to see if I'd like to try out one of their pieces I couldn't refuse! Here's a little bit about Statement Made Jewellery directly from them: "Statement Made Jewellery was born from a passion for jewellery to have a deep connection with its wearer, to be adorned by all, and to express yourself in new and exciting ways. We want you to feel that what you show the world is exactly who you are, and what better way to start, than with your jewellery. All of our designs are hand picked, wearer tested, positively quirky and designed with the modern woman in mind." I love their vision as it's absolutely true, expressing yourself through jewellery is like a form of art. It's a way to say this is who I am or this is how I'm feeling today ans the lovely Statement Made Jewellery have lots of beautiful pieces to suit everyone but I'm especially taken with their personalised range. 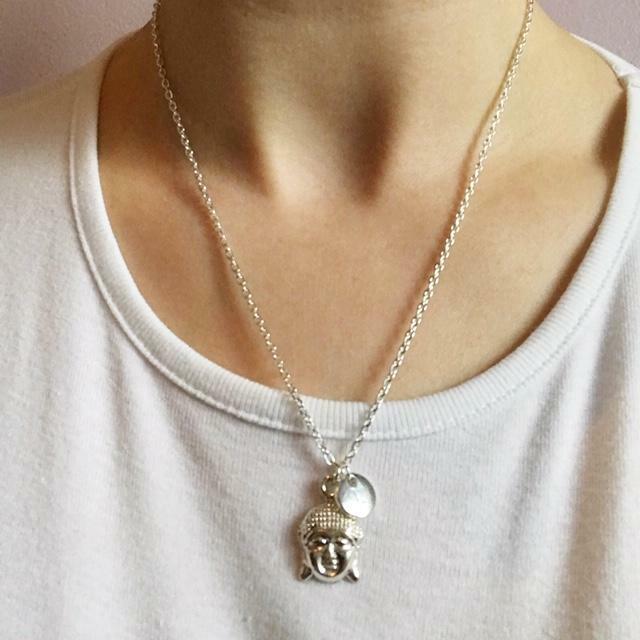 So I was lucky enough to be sent a fabulous personalised buddha head with round initial handmade customised necklace. 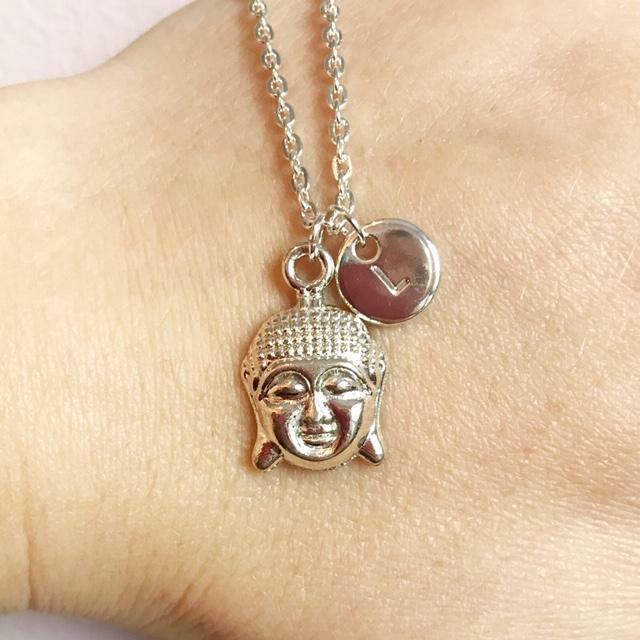 The necklace is made from Tibetan silver (silver plated), has a carabiner claw slap and a 18" standard chain although is can be cut to size if you have a specific requirement. You can also add additional chain length as well if you so wish. It's a great thing when you see that a company are so flexible and accommodating with their customers. This necklace is completely flake and corrosion-resistant (care instructions included) and when I inspected it on arrival it really does look to be of excellent quality. I'm really picky about what jewellery I wear but this little beaut is perfect. It would make a great gift for birthdays or Christmas and comes with a certificate of authenticity, beautifully packaged ready to present as a thoughtful gift. 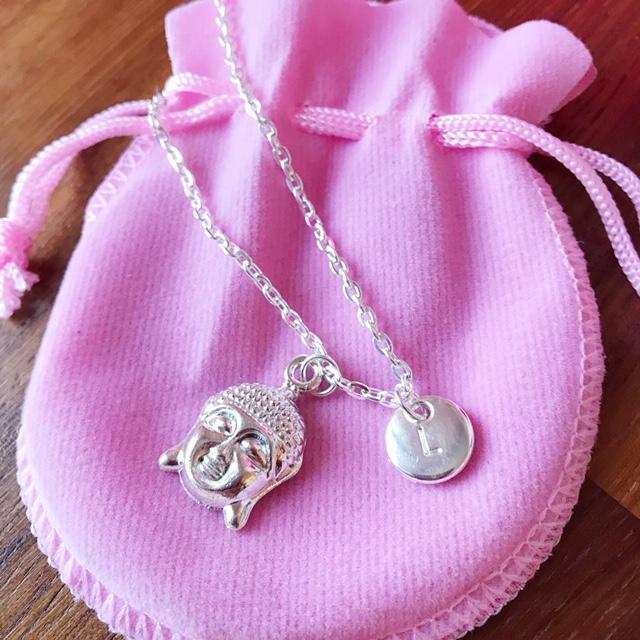 The pink drawstring back is also ideal to keep your necklace safe and clean when you're not wearing. I've been wearing this necklace for just over a week now and it goes brilliantly with everything. Not matter if I'm casual or in work attire it still fits in plus it's very comfortable to wear. I have quite sensitive skin and some jewellery can make me break out in a rash but not this, it's been great. Also the price point for me is so reasonable, this necklace only costs £14.90 and that includes the personalised letter with it! Total bargain. 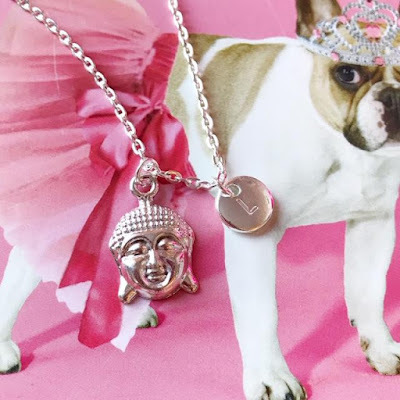 A really nice touch is that the necklace also comes with a certificate of authenticity and has the care instructions on the back to make sure you get the most from your jewellery. It's the little things like this that really make me fond of small businesses. I really would recommend Statement Made Jewellery to family and friends. The quality is there, the price point is amazing and there's just tons of choice. I can even pick some buddha earrings to go with my new necklace is I want. 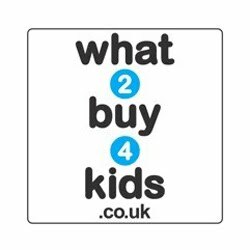 So do check them out at statementmadejewellery.com, especially in the run up to Christmas as there's some lovely gift ideas for loved ones. I was sent this necklace in return for an honest review. All opinions are my own. 0 comments on "Review: Statement Made Jewellery "